PRAISE. I love conferences. I love going to them (shoutout to the two I’m going to with my bff in the next two months [this one] and [this one]), I love speaking at them, I love learning and absorbing “Gospel drippings” from others and I love getting to mix and mingle with amazing women (young and old alike) from all over the country (and/or world). SO. 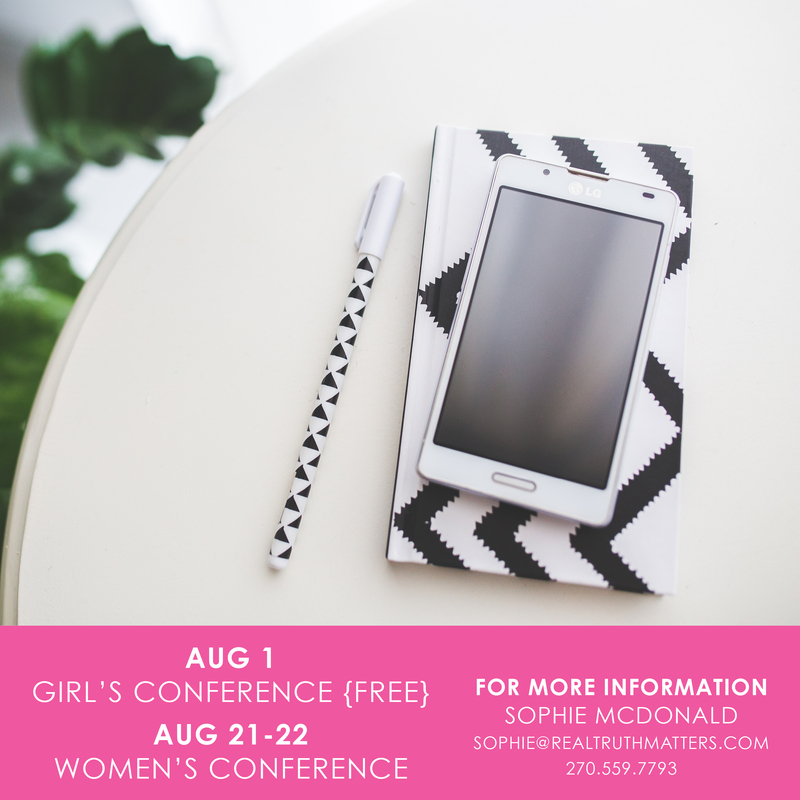 If you live in the Paducah, Kentucky area and are a female, come to these conferences! I am SO excited to get to speak at both of them while also soaking in the Word with others. Would you join me? 9 a.m – 2 p.m.
For any young ladies entering their freshman year of high school to those entering their freshman semester of college. 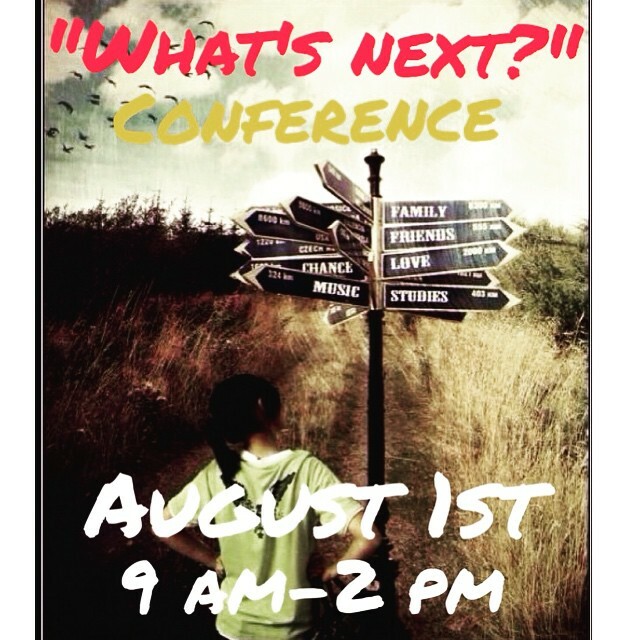 One of my dear friends is coordinating this conference for high school-college freshmen and it is going to be amazing! There are so many stellar women who will be sharing and leading small groups and I cannot wait to speak on acceptance/identity and see what the day will bring. Did I mention this is FREE and lunch is included? Hollatcha girl. Get excited, people. Author and speaker Trillia Newbell (read about that one time my bff and I went to her book release party here) is coming to town and it is going to be great. 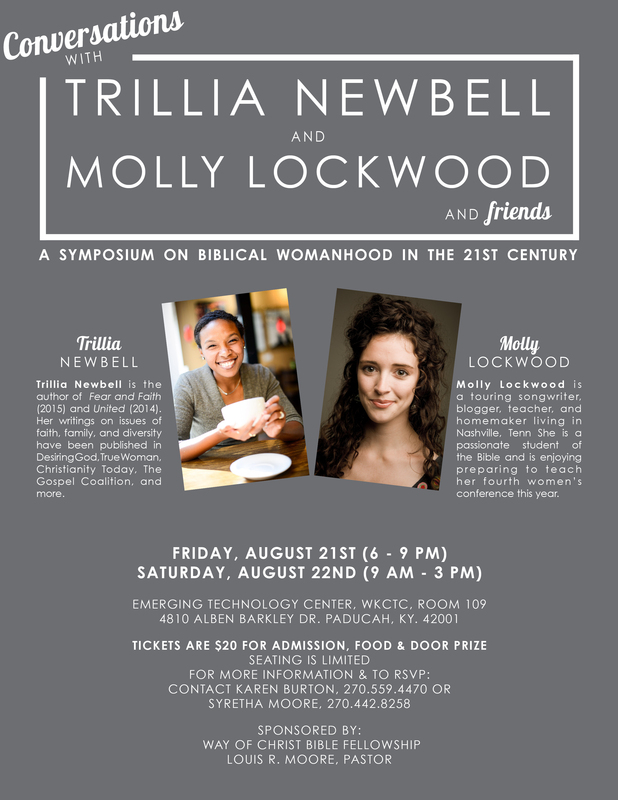 Biblical womanhood is a huge passion of mine and I cannot wait to hear Trillia and Molly Lockwood share their wisdom! Also that weekend my awesome pastor’s wife will be speaking on marriage and I get to briefly share on singleness. The Gospel + food + fellowship—what’s not to be excited about?! This entry was posted in True Beauty. Tagged biblical womanhood, Christian Living, Fear and Faith, Girl's Ministry, girls conference, Gospel, Kentucky area, marriage, molly lockwood, paducah, Paducah Kentucky, singleness, Trillia Newbell, women's ministry, womens conference, womens symposium, youth ministry.